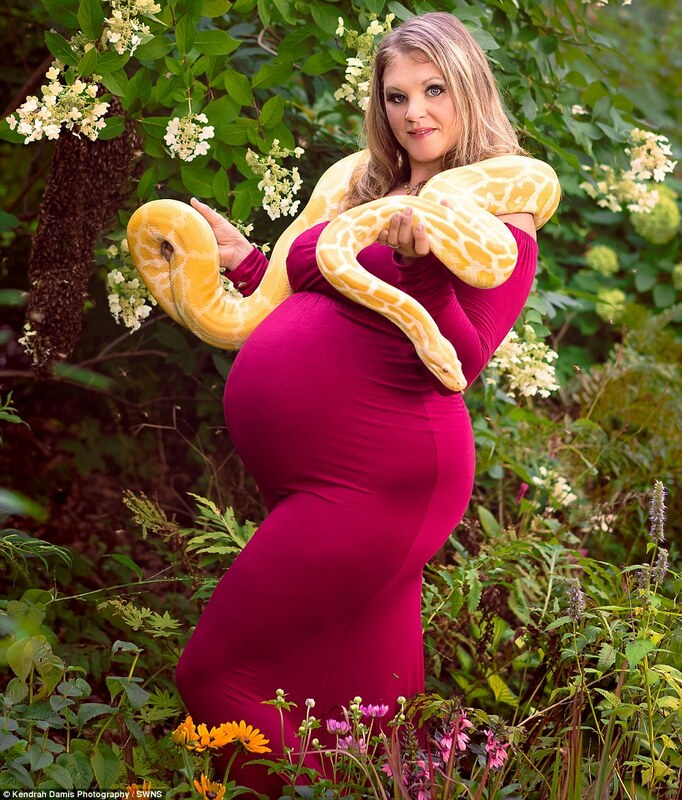 A pregnant woman has created a buzz by posing for extreme maternity photos – one while covered in 16,000 bees and another with an 8ft snake coiled around her bump. Emily Mueller, 34, from New Franklin, Ohio, painted herself gold as part of a Cleopatra-themed shoot, but instead of wearing a headdress like the Egyptian queen got bees to swarm around her face. But this isn’t the first time Emily participated in the daring photo shoot. 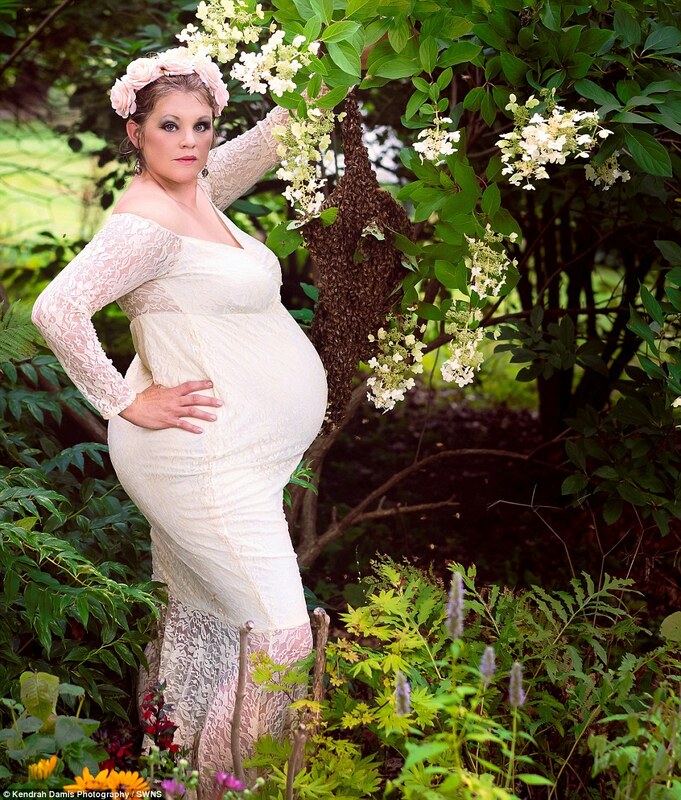 Last year, the 34-year-old posed with bees with her then-pregnant belly, but she devastatingly experienced a stillbirth months later in November. 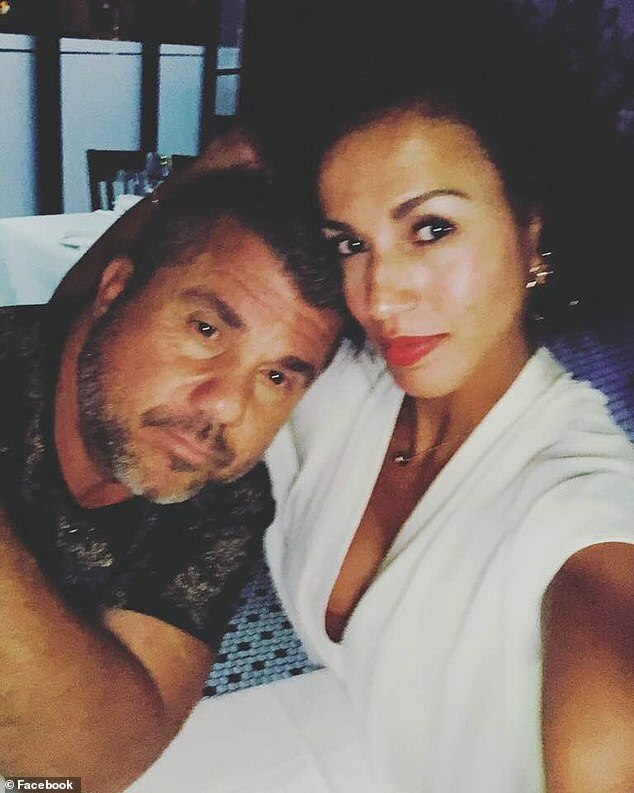 The current attention-grabbing photos were to celebrate the fact that she and husband Ryan, 38, who runs Mueller Honey Bee Rescue with her, are expecting a child next month. 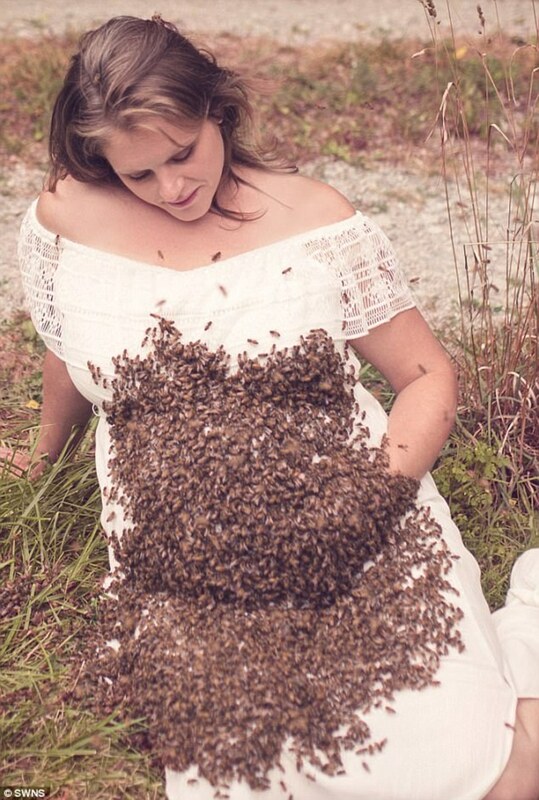 It comes after Emily hit headlines last September when she got a swarm of 20,000 bees to settle on her stomach while pregnant with her son Emersyn. She tragically suffered a stillbirth after having a blood clot but conceived again and is now expecting a sibling for her children Cadyn, 11, Madelynn, four, and Westyn, two. 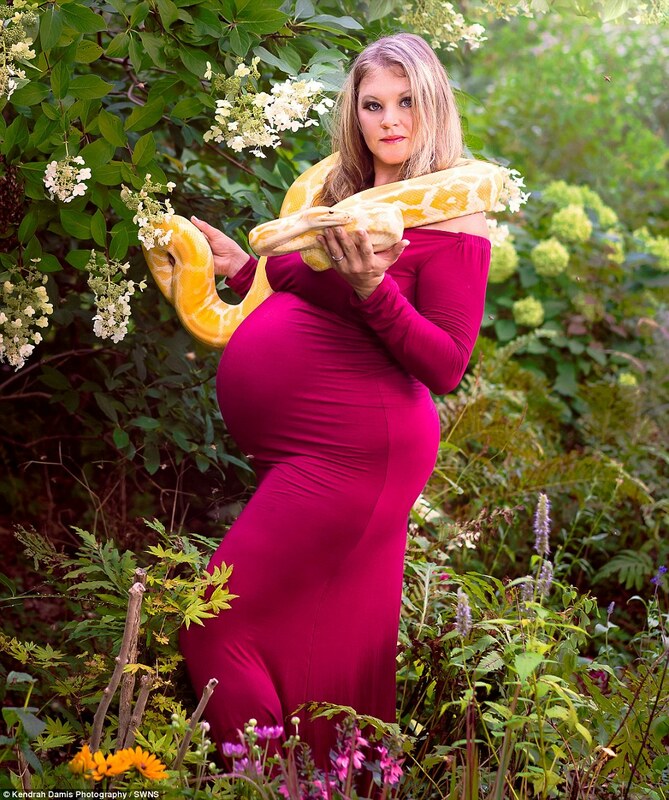 To pay tribute to the late Emersyn and highlight her new pregnancy, Emily enlisted photographer Kendrah Damis to take the unique shots in her garden earlier this month. She was stung in the eye by one of the 16,000 buzzing insects, but bravely posed again the following day holding 12,000 bees. 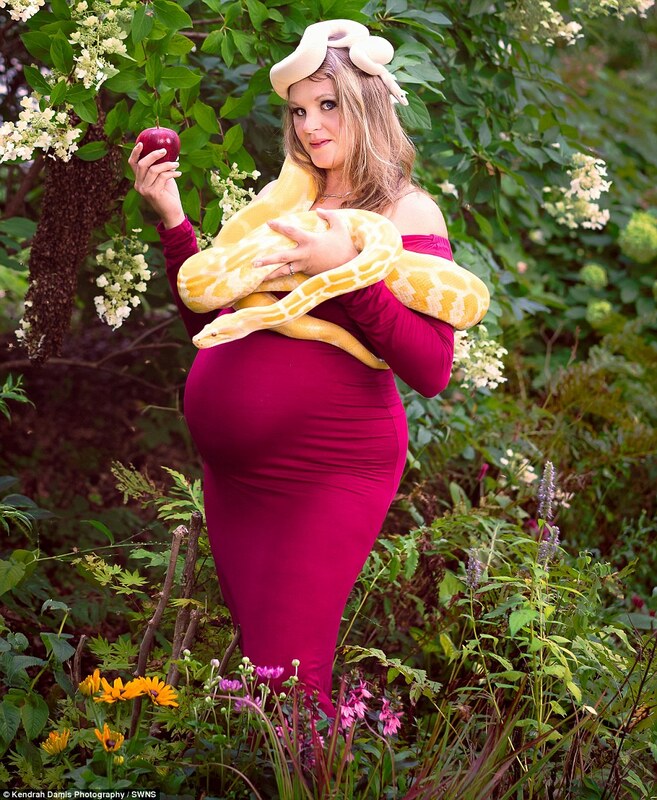 Beekeeper Emily, who is due to give birth next month, also had a huge yellow python wrapped around her as part of a Garden of Eden-themed shoot. Emily said: ‘It was in memory of (Emersyn), in honor of him, and a way to honor my pregnancy. I’m due next month. ‘We did a Garden of Eden type of theme where the bees were in the background. ‘The other one was an Egyptian Cleopatra shoot where instead of wearing a big wig I wore bees on my head. ‘We painted my whole body gold and then did Egyptian makeup and jewelry which was a much longer process. ‘We had to put sticks into my bald cap and put a ring of grass on it because the bees couldn’t grip onto the cap as it was soft plastic. ‘Then my husband emptied the bees onto the ground and we just stood there and waited. ‘We put the queen bee on my head and they swarm up onto wherever the queen is, and that was my head. ‘I also rented a guy, Outback Ray, and we paid him to come and bring animals we could pose with. 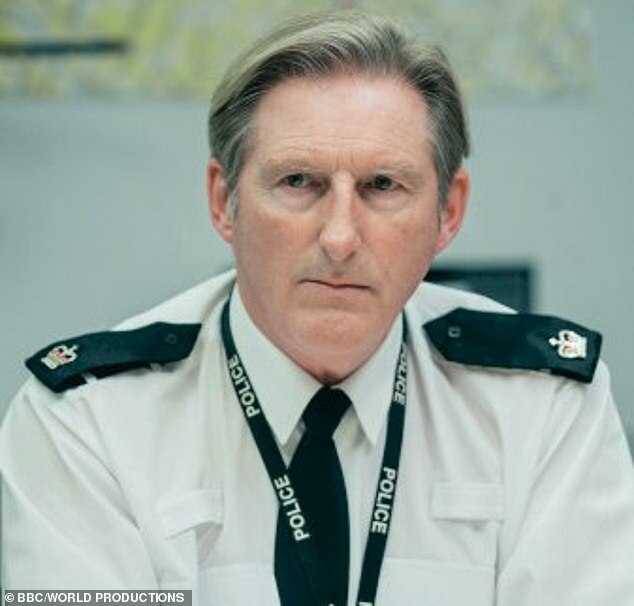 ‘He had a yellow python. It was not dangerous – this guy travels to elementary schools and has kids hold them and hold the snakes. ‘When I first saw it I was nervous but once he brought it up to me it was really cool and he was very explanatory of the fact that the snake has never hurt anyone. ‘It was an amazing experience. 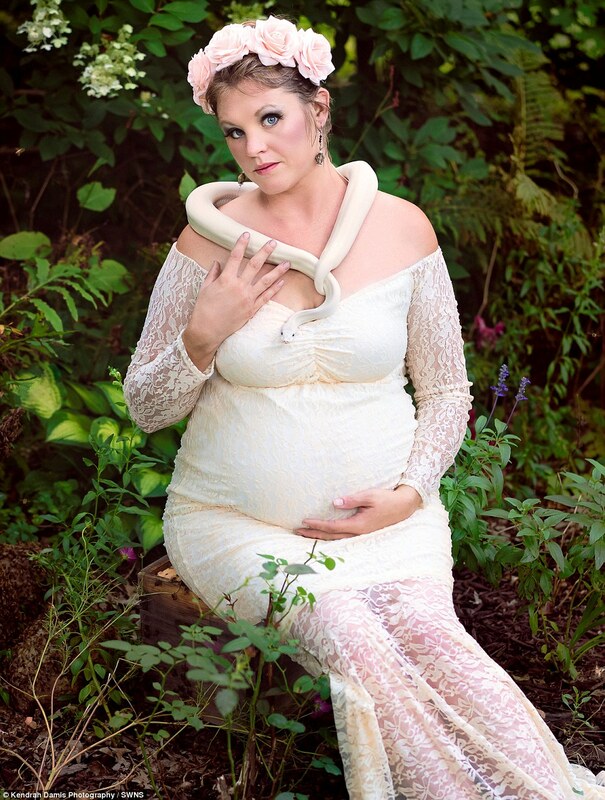 ‘I had the bees on me one day, and the next day the snake was on me. Emily set up her bee rescue company in 2014 and said she’s ‘very confident with bees’ – so much so that the four stings she suffered over the course of the shoots didn’t faze her. The former comms worker decided to surround herself with insects and animals as a way to celebrate life – past and future. She said: ‘We have a very animal-oriented family. We teach our children about bugs, reptiles, insects. We take nature walks and it’s a part of the family. ‘Really, the message is that you can’t take life for granted and if you have something you want to do, you have to do it now. 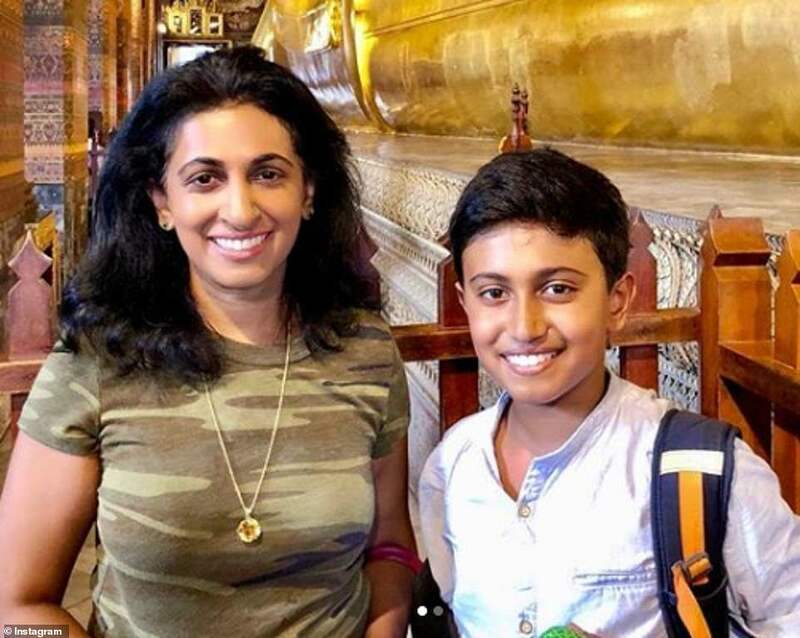 ‘Losing our son was very detrimental to our lives. Both of our hearts were broken. ‘It was extremely devastating and it’s a very long process getting used to living your life without a child you were supposed to have. ‘We were very very excited when I fell pregnant again but it has been very intense and scary. ‘People accused me of being unsafe with the previous shoot and it’s not.